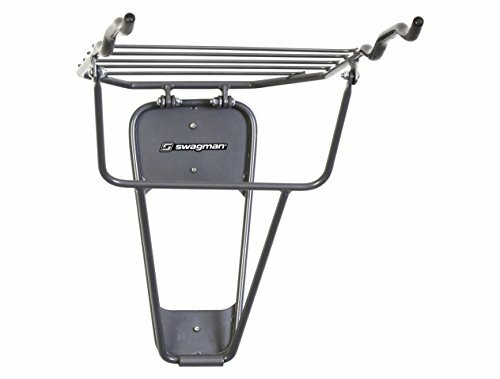 The Swagman double folding wall mount 2-Bike storage rack is ideal for residential bike storage. The mount also creates a small shelf to store bicycle accessories such as a helmet, shoes or gloves. The bike mount is easy to install, no assembly is required and it comes with mounting Hardware. The rack mounts on the wall and folds up when not in use. It is made of solid steel tubing and has a super tough powder coating. The arms are dipped in vinyl to avoid any damage or scratching on bike frame. This is a great accessory to keep your bikes organized and out of the way. K&A Company Universal Front Atv Hd Steel Cargo Basket Rack Luggage Carrier 36"X17.25"X6.25"